Following the success of the first Student Arts Council poets tour in 1975, another was arranged in 1979. 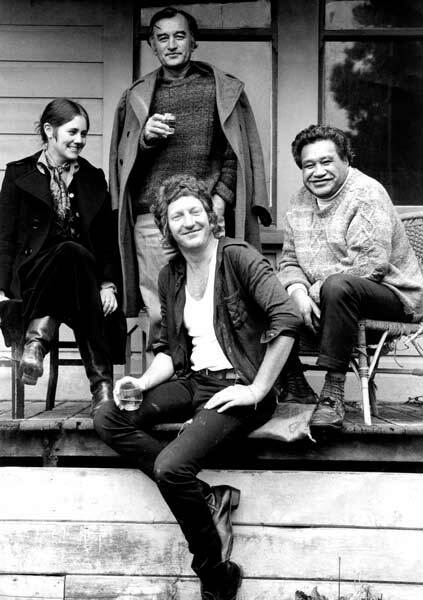 This time Hone Tuwhare teamed up with Jan Kemp, Alistair Campbell (standing) and Sam Hunt. Again, the tour was a hit, bringing Tuwhare and his poems before a wide and enthusiastic audience.